Proms Lead Up – Big Band! Two posts in one day, aren’t you all very lucky! We have just one more band left to introduce before the BIG day tomorrow (pun intended) which is of course our Big Band! 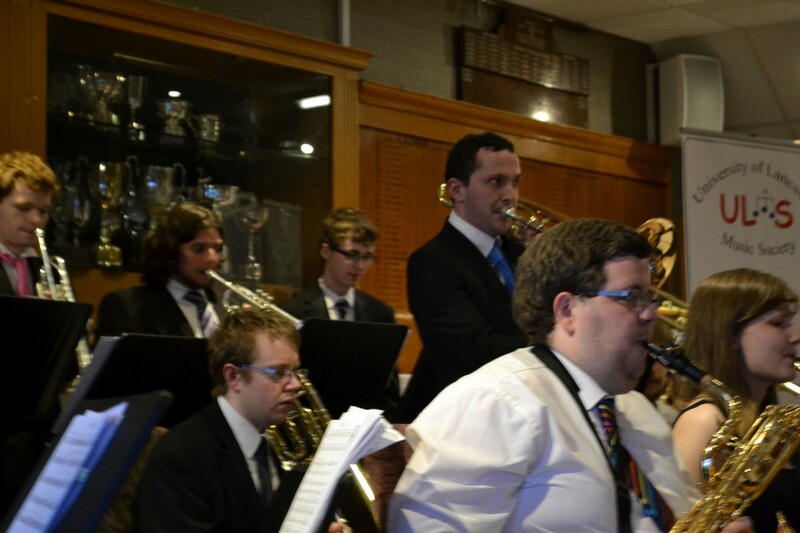 On the 18th of June the Big Band packed all their kit into various different cars/a van and made the arduous journey to Barrow Golf Club to play a charity gig there, organised by Chris Wadeson, in aid of St Mary’s Hospice. The last Big Band gig of the year (other than Proms! ), the night was a roaring success, with the combined total raised from this night and a similar one held before Christmas exceeding £1000. What’s more the Big Band sounded fantastic, and the evening showed that they’re really ready to wow everyone at Proms, capping off a fun and successful year for the ULMS Big Band. The sax section in full force! At Proms the Big Band will be playing As Time Goes By, Someone to Watch Over Me and Not Yet. Taking a closer look at the Brass section! ← Proms Lead Up – String Orchestra!